As you can imagine, here at Shelving Inc we’re all about warehouse organization. But maybe we don’t spend enough time explaining why. Much like when your home is organized, having a clean and organized workplace can actually have a huge positive effect on your workers, both mentally and physically. These more intangible benefits can start to add up after a while and may help your entire staff during the workday. Perhaps top on the list is the idea that an organized warehouse means everyone can get more done, period. It’s not enough to have a ton of pallet racks, metal shelves, and wire shelving everywhere—you need to make sure that it’s all laid out in an order that makes sense to your staff and helps them find things more easily. Are you using the right kind of labeling? Does everything have a consistent home that it can be stored in every time without confusing your staff as to where it’ll wind up? By maintaining a consistent organization method throughout the entire warehouse, you can go a long way towards helping everyone stay on top of their tasks. 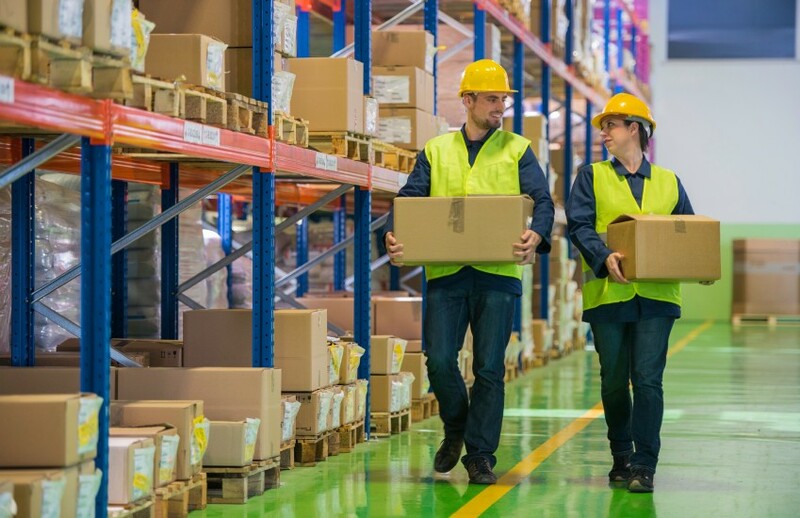 Warehouses can be inherently dangerous environments simply due to the sort of work being performed and the weight of all the products involved, but the safety risks can increase tenfold in a warehouse with a lot of clutter. Take a look at your most high-traffic areas and make sure there’s no excess clutter that could create a safety hazard—lengthy cables, frequent spills/leaks, loose shelving rails, and improperly put away pallets could all become health dangers in their own right. With a well-organized warehouse, your staff can find things more easily and better distinguish between different types of similar items (clothing of different sizes, for example) and help make sure every customer is getting what they ordered, when they ordered it. Inaccurate orders are the fastest way to lose customers and see a decline in repeat business, and organization can help curb these issues.